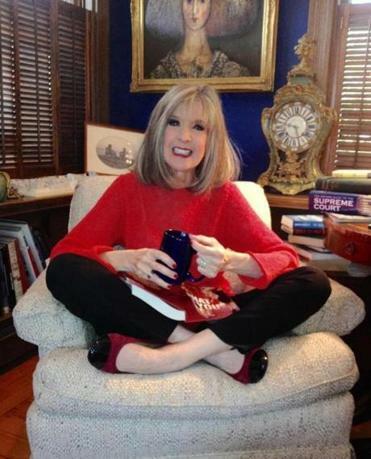 How does Hank Phillippi Ryan take her coffee? Here, we reached Hank Phillippi Ryan, an investigative reporter at WHDH-TV and author of the new book “What You See,” by e-mail. Investigative reporter at WHDH-TV Channel 7, and author of eight award-winning mystery novels. My husband somehow makes the best coffee, I can never do it as well as he can. He makes it every morning, first thing. I think he does something special when he stirs it. He’ll never reveal the secret. We asked Boston’s Gracenote Coffee founder and director Patrick Barter for his five tips on how to turn a cup of joe into something extraordinary. Both are great! Or can be great. Nothing is yuckier than bad coffee. I won’t drink it. Please don’t yell at me for waste, but we had a Chemex, then a French press, then a Mr. Coffee, then something else, which I forget; we now have (and love) a Keurig pod thing. We make Magie Noire and Jet Fuel and Double Black Diamond. A few of them at the State Street Starbucks know me, which is a little scary because doesn’t that mean I am there too much? Timing depends on if I am out covering a story, or doing errands. Could be any time! Triple venti nonfat latte, always. Sometimes I splurge, and get a bag of salted almonds. I am wild and crazy, as you can tell. Skim milk. I don’t really like cream, it tastes funny. If I am getting it sweetened, I use sugar. I can always taste the fake stuff. Usually hot, but there’s always a day every year when the wind changes and the temperature softens, and I think: oh iced latte! It is such a lovely transitional moment in time. 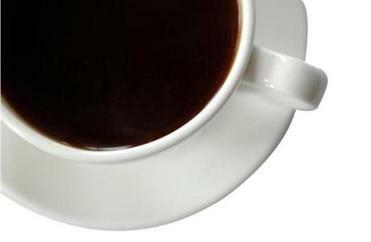 Then, just as reliably, the day comes when it feels like time for hot coffee again. Hmmm. I am not much on sitting around drinking coffee and chatting. I guess I am just too crazed with my book tour for “What You See,” and trying to finish the new book, and trying to remember what time zone I am in. Oh gosh, always on the go. I am so amused by how everyone has a cup of coffee walking down the street! And I do, too. Well, that’s interesting. Maybe two? Three? And I long for another one, but at some point it just doesn’t sound good anymore. I sometimes sneak in a last-of-the-day latte, at 4 o’clock or so. Always a little nervous about it, but it’s always fine. Oh, I remember it well! I was working in Washington, D.C., in 1971, for Rolling Stone Magazine, and I really hadn’t been a coffee fan. Hunter S. Thompson said to me, “Here, try this.” And he handed me coffee with cream and sugar. It felt like a little delicious punch of energy. I was completely hooked! I laughed with delight. I guess we must have looked very Italian, and very authentic, and I thought that was great!